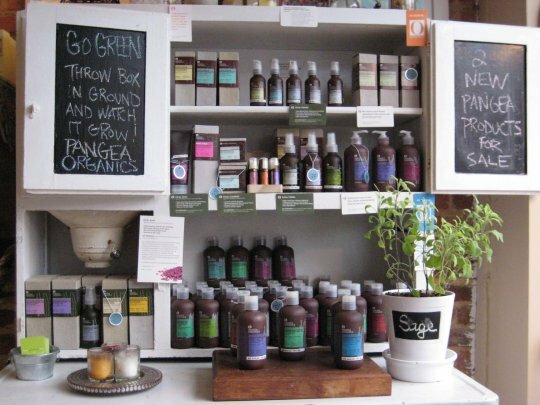 Located on South Charles Street, SoBotanical is a Baltimore-based company that offers their own signature line of skincare and body products that come from handpicked, all-natural ingredients. Combining healing herbs, aromatic plants, organic oils, and their own skincare instruction, their product line provides a wholesome addition to aromatherapy. SoBotanical’s own fabulous-smelling products are packaged mostly in glass bottles and jars, which they will refill at a slight discount. They also carry other brands, including Pangea Organics, a visionary company that rigorously pursues the triple bottom line.